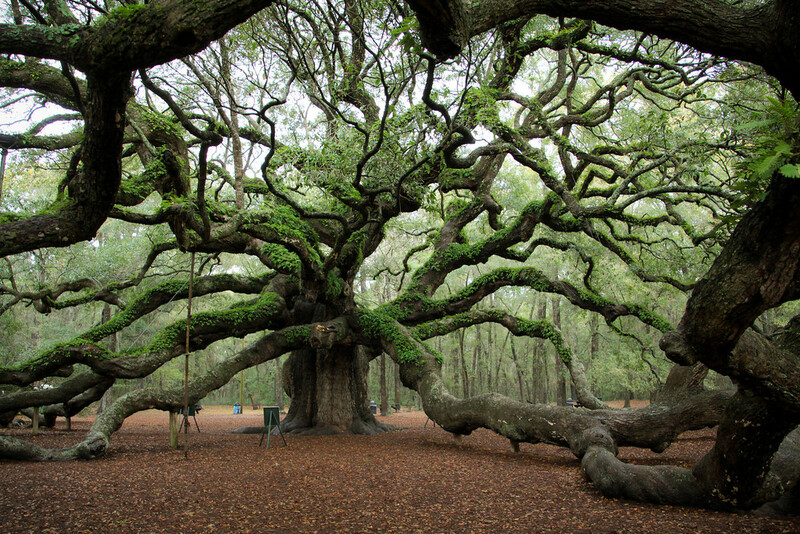 When I first saw the Angel Oak while traveling in South Carolina, I felt it’s immense energy . When I touched the tree trunk it seemed that I was connected to the tree and the earth. It was such a comforting feeling. It felt like I was part of the tree’s past as well as the present. Being in the presence of such a magnificent living tree is awe inspiring. Nature has always been my first choice for feeling connected spiritually to my self and others. When I was young, I would play in the woods behind my house for hours by myself. I would imagine wood nymphs and fairies during my visits to the stream in the woods. During the course of my life , I have encountered deaths of loved ones, my father at age 19, my mom at age 29 and my husband at age 50. With every loss, I was profoundly comforted by family and friends. Even with all the love given to me, I still had to turn to my spiritual center to go forward with my life. These events propelled me to increase my spiritual search. My mother died in a coma and I was not able to say goodbye. Three months later after being depressed (one of the few times in my life) I was visited by her spirit. I was told by my friend from Taiwan, that they believe the spirit of a loved one visits you about 3 moths after death. I knew that my spirituality was an important part of my life and began following that path as soon as I graduated from college 4 years later. It began with the Course in Miracles in 1986 and my first Reiki class. I am still continuing to learn. I became a Trinity Energy Practitioner ( founded by Angel Coulter) in 2012 and an Ordained Minister in 2014 through New Earth Aquarian Church , founded by Veronica Vela. My more recent spiritual search was initiated after I acquired inflammatory arthritis and started walking with a cane overnight. Learning to mediate deeply was necessary to help with the pain. I found that guided mediation was a great way to start. (http://www.roadtoawakening.net/AudioDownloads/ExpandingConsciousness.mp3). My first serious attempt resulted in me sobbing and my head bobbing uncontrollably. I called Angela, the friend who sent me the link, and told her something was wrong. She laughed and said that was a good thing to happen. I was totally confused but was told it meant I was really releasing the pain and connecting. These benefits caused me to understand the importance of meditation. Now I am on a mission to introduce meditation and energy work to everyone. We all want peace and sometimes do not know where to start. Taking time for yourself and listening to your inner guidance is not as easy as it sounds. It takes practice and time. I started slow and encourage others to try mediating for 5 minutes a day, gradually increasing to 20 minutes or more. I also find it much easier to feel connected to others and the earth by spending time in nature. Even if you just sit on the porch and look at the birds. Our life can be so hectic, that we do not feel we have the time for this. But it is amazing how much more you can accomplish if you center yourself first and listen to that inner voice. Now I wonder, after meeting the Angel Oak, if the fairies and wood nymphs I met when I was young were really from my imagination!